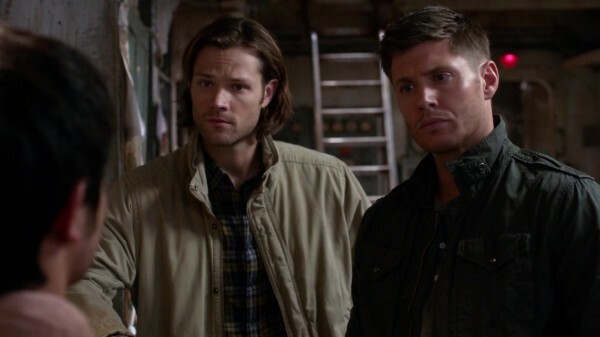 Dean’s got his own room, Kevin’s got health problems, and Sam’s got a mission. 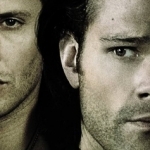 We’re headed into the long arc storyline for Supernatural and I’m excited to see how it plays out. However, I fear that dedication to the cause is going to end up killing someone. Then again, if there weren’t the imminent threat of death hanging around every corner, I’m not sure the Winchesters would know what to do with themselves. The boys have a home! I am never going to be not-excited about that. For as long as they’ve lived, the two of them have usually been in the car, on the road, never knowing where they might lay their heads from one day to the next. Now, they have a home base. Sam can bury himself in the library for marathon research sessions. Dean can improve his culinary skills in their fantastic kitchen. They can feel safe inside the protection wards that surround the place. It’s unusual for them, but I think they’re settling in nicely. 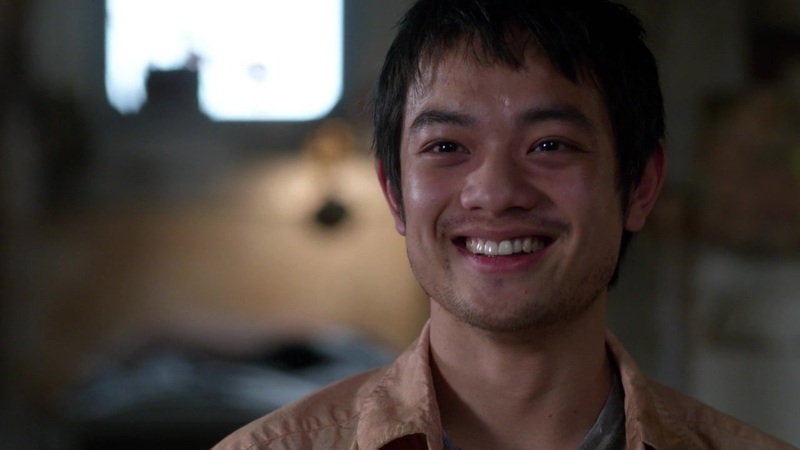 And this week we got to see Dean’s new room, along with the simple joy that brought him. He has his weapons hanging on the wall, his Memory Foam mattress on the bed, and his mom’s picture on the desk. That’s one of the great things about this show, even after eight years it can still surprise you. The fact that Dean’s been carrying around that picture probably his whole life, yet we never knew it before, is just one more example of that. He admitted he’s nesting, enjoying having a place that they can call their own, and I’m so pleased to see them finally getting that. 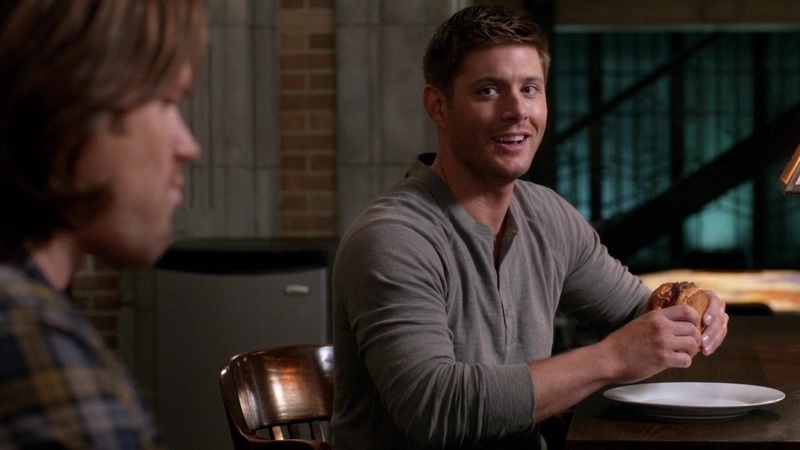 Plus, Sam seems to enjoy Dean’s cooking, so it’s a win-win for them both. But just because they have a home base doesn’t mean they’re not going to go out on cases and spend time on the road. There’s still that whole matter of the tablet and closing the gates of Hell forever. Kevin’s been hard at work on that and, when he calls them, they rush over to see how he’s doing. Health-wise, he’s not faring so well. Kevin’s been having nosebleeds, has bad eating habits, and he possibly had a mini-stroke at some point. Yeah, not good. And the boys’ approach to how they deal with him is an interesting look at the Winchesters themselves. Sam advises Kevin that the most important thing is to take care of himself. If Kevin’s not doing well, his success rate is going to go way down. It’s a marathon, not a sprint, in order to reach his goal. Sam should know, he’s lived through this kind of thing a time or two. Dean, on the other hand, advises Kevin to play through the pain. He can rest when it’s all over, but for now they have things to do and no time for exhaustion or ill health to slow them down. Kevin seems to be of the same mindset. The faster he can get this done, the sooner he can get back to his real life. I don’t think it’s going to work out that way, but Kevin’s got to keep some hope alive, I guess. He’s getting closer to his goal, though. Kevin has figured out that, in order to close the gates, someone must perform three trials set forth by God. Pass the tests, the gates can close. First up is to take on a hellhound and bathe in its blood. Disturbing images aside, that’s probably the easiest of the three tasks, so the boys have to find someone who’s up for soul-repossession and that will lead them straight to a beast. And, of course, Dean is of the mindset that he should be the one to do the trials. Why? Because he’s the older brother, that’s why. But, more than that, we got an honest and open conversation about it during the case. Dean, as usual, focuses on putting himself down while building others up. He sees himself as dispensable, as someone not as important as those around him, so of course he should be the one to offer himself up. The only way this is going to end is in death and he doesn’t mind dying. 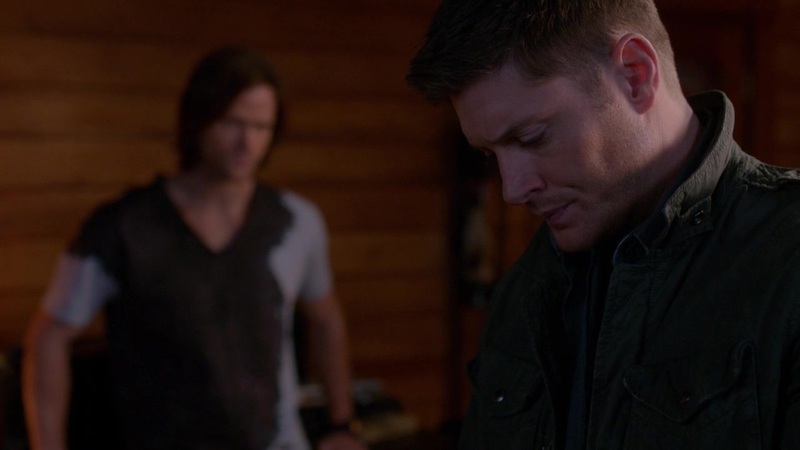 Dean’s always known that he’d end up that way, so suicide missions aren’t going to weigh him down with indecision. Sam, however, is not going to let that happen. He explains to Dean how he’s not useless, how he’s smarter in some things than most everyone else on the planet. And Sam is determined that this doesn’t have to be a suicide mission. He’s going to do the trials himself and drag Dean along with him because, at the end of this, they are both going to make it out alive. Besides, Dean finally has his own room now. It would seem a waste if he didn’t get to use it. This is not going to be an easy journey for either of them. We already saw what the initial spell did to Sam and this was just the first trial. 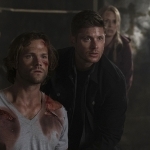 The other two are sure to be harder, and with Sam becoming affected with each step in the process, closing the gates of Hell might just prove to be too much for him. Then again, if it was easy, someone would have done it sooner. What would succeeding mean for the two of them? Well, no more demons. Doesn’t mean there wouldn’t be other things to hunt, but I think the road would become a lot easier for the Winchesters. However, as we’ve seen before, even when they succeed, they tend to lose out, so what bigger and badder thing might be lurking around the corner if they get through this mission? We’re going to have to wait and see. I just hope Sam and Dean are around to see it, too.